Here is a link to the SDRA By-Laws, adopted on June 21, 2017. These By Laws are dedicated to the founders of the Sand Dam Reservoir Association, under the leadership of Walter Coupe, whose efforts helped to establish a community of landowners interested in preserving the quality of the Smith and Sayles Reservoir. 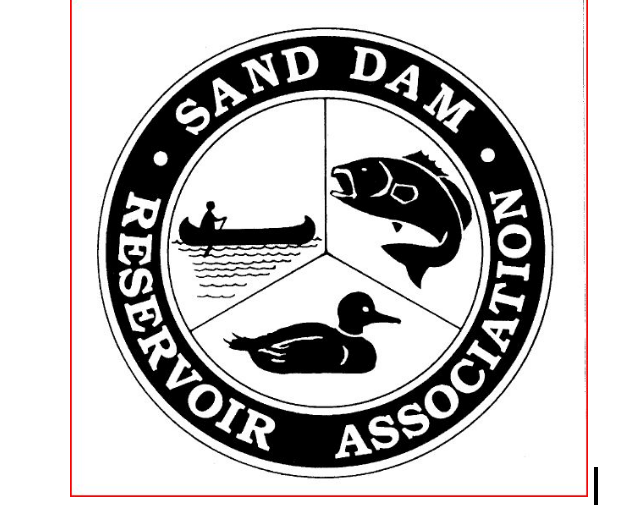 This Association shall be known as the Sand Dam Reservoir Association (SDRA). The address of the Association shall be PO Box 284, Chepachet, Rhode Island 02814. The Sand Dam Reservoir Association (SDRA) is a voluntary Association of concerned landowners and neighbors on the Sand Dam Reservoir (also known as Smith & Sayles Reservoir) whose mission is to provide stewardship to the lake and its community. Members come together to preserve, protect, and improve the quality of our environment here: our water and habitat, for recreation and tranquility, now and in the future. The corporate seal shall be circular in form and shall contain around its outer edge the words “Sand Dam Reservoir Association” and in its center the words “Incorporated 1950 Rhode Island”. The fiscal year shall be July 1st through June 30th. Any landowner with property adjacent to the Sand Dam Reservoir is eligible to join the Association and become a voting member of the Association. A member of the SDRA shall be the recorded landowner(s) of property abutting the Reservoir and must pay annual dues for such membership. However, landowners holding land-in-common are eligible only as a group for a single voting membership with dues the same as a single full membership. The landowners-in-common shall designate a representative of their choosing to cast one vote for the group in all SDRA matters. An associate member may be any individual or group interested in the SDRA. Such membership shall pay half the full membership dues and have access to all SDRA meetings and events but shall have no voting rights. Special consideration or honorary membership may be given to individuals who have negotiated or been awarded special membership status by a majority vote of the membership at the Annual Meeting; such membership may be voting eligible or not and dues-paying or not, as negotiated or approved previously by the Board or as approved by a majority of the membership. Any member or associate member may be removed for any activities injurious to the Association by a majority vote of those present at any meeting of the Association, annual or special. Each member shall furnish the Secretary with an email address or USPS address to which all notices may be sent. In default thereof, the Secretary may send notices to the last known residence of the member and notices so addressed shall be binding upon the member whether or not received. Payment of annual dues constitutes membership in SDRA for the upcoming fiscal year. Assessments shall be made by the Board of Directors for whatever money may be needed for upcoming expenses. The dues for annual membership shall be determined by the Association at its annual meeting, provided, however, that if the Association at its annual meeting fails to determine the amount of dues for the ensuing year, the dues for the preceding year shall continue in force. The annual dues shall become due and payable not later than September 1st of the new fiscal year. The Association by vote of a majority of the members may make assessments on each member. Such assessments shall be in the same amount for each member. Assessments shall be paid within sixty days after their levy is voted. Any member who does not pay annual dues by September 1st or assessment within sixty days after the same become due may be dropped from membership. The Board of Directors shall consist of seven members, including the four executive officers of the Association and three persons from the membership at large. To serve on the Board one must currently be a member in good standing. In addition, to serve as an officer one must also have been a member of the SDRA for at least three years whereas members-at-large need only have been a member for one year. If more than one person is landowner on a property, only one may serve on the Board in any role at the same time. The Board of Directors shall have general control and management of all the business and property of the Association, subject to the specific direction, if any, of the members of the Association as voted at any annual or special meeting and, subject thereto, the Board of Directors may exercise all powers of the Association which are not by statute of or by the Articles of Association or by these By-Laws required to be exercised by the members of the Association. Section 3. Board of Directors Meetings. The Board of Directors shall meet from time to time throughout the year to conduct regular or special business of the Association. One such meeting shall be held not later than May 15 to set the agenda for the Annual SDRA membership meeting; the agenda shall include a motion for election of a slate of Officers and Directors-at-large, as well as any other formal motions, if applicable, to be presented for the Annual SDRA Meeting. Board of Directors meetings shall be held at such time and place as the Directors by general resolution may direct. At all meetings of the Directors, five Directors shall be necessary to constitute a quorum for the transaction of any business. Action taken by the Board of Directors shall require an affirmative vote of a majority of the Directors present and voting. In the event of an emergency, a special meeting may be called to bring together a majority of the board members in as short a time as possible, thereby suspending the time frames noted above for special meetings, and recognizing that member participation in such a meeting may be via electronic communication. Any vote, resolution or other form of action which shall be in writing and signed by a majority of the Directors shall constitute lawful action by the Board of Directors without any formal meeting of said Board. The executive officers of the Association shall be a President, a Vice-President, a Treasurer and a Secretary, all of whom shall be land owner members of the Association and shall be elected by the members at the annual meeting of the Association. Executive officers shall be elected for a two-year term. There shall be no more than two consecutive terms in said office. No one person shall hold more than one of the aforesaid offices. The executive officers shall hold office from the end of the meeting in which they are elected until the end of the next annual meeting of the Association. A nominating committee will be formed at each annual meeting to present a slate of Directors (including specification officers) for the next Annual meeting. The President shall preside at all meetings of the Association and shall sign all deeds, contracts, and other written instruction made and executed on behalf of the Association. The President shall have charge and supervision of the business and the affairs of the Association subject to control of the Board of Directors, and shall perform such other duties as may from time to time be assigned by the Board of Directors. In the absence of the President, the Vice-President shall preside at all meetings of the Association. In the event of illness or absence of the President, or when requested in writing by the President to do so, the Vice-President shall perform all the duties of the President. The Vice-President shall also perform such duties as may from time to time be assigned by the Board of Directors. The Treasurer shall be responsible for the collection and depositing of all monies payable to the Association and shall keep its financial books and records. The Treasurer shall sign all hard copy/paper checks, with the President co-signing any of these paper checks greater than $999.99. The financial books, records and electronic bank card(s) data of the Association, shall be available for inspection by any other Board member. The Board of Directors shall either personally or through their nominee or nominees audit the books of the Treasurer at least once a year. If required by the Board of Directors, the Treasurer shall give bond for the faithful performance of duties, with such surety and in such amount as the Board may determine, but the Association shall pay the cost of the surety on such bond. The Secretary shall act as clerk at all meetings of the Association and shall keep the minutes of such meetings. The Secretary shall also keep a register of the names and addresses of all the members of the Association and shall be responsible for timely communication electronically or by post office mailing of meeting notices and other correspondences. The Secretary shall have custody of the seal of the Association, of the minutes of the meetings of the membership and Board of Directors and all other papers and documents belonging to the Association, and shall perform such other duties as may be assigned by the Board. Directors-at-Large are elected for three-year terms, rotating on the Board such that each year one new member-at-large joins the Board and the longest sitting member rotates off the Board. In case of the absence of any officer of the Association or for any other reason that the Board may deem sufficient, the Board of Directors may delegate, for the time being, some or all of their duties to any other Board Member, provided a majority of the Board concur. Directors shall not receive any salary or other compensation for their services as Directors. However, they may be reimbursed for such actual expenses as they may incur on behalf of the Association. In addition, as approved by the membership, funds may be allocated for the performance of specific duties apart from such role. If the office of any executive officer or Director becomes vacant, the Board of Directors, by a majority vote of those remaining, may fill such vacancy until the next special or annual meeting of the Association shall fill the vacancy. Robert’s Rules of Order shall be in force at meetings of the Association, of the Board of Directors, and of all Association committees. c) no owner shall have more than one vote. At all meetings one-third of the members of the Association shall constitute a quorum for the transaction of all business. However, should a quorum not exist all essential business shall be brought to the Board of Directors for action. Members may vote by voice, roll call, show of hands, ballot or proxy. A signed proxy shall be filed with the Secretary of the Association at least 24 hours in advance of a meeting to exercise voting privilege. The proxy shall be given to a voting member of the Association and shall be general or shall specify the items to which the proxy pertains. At all meetings, except as otherwise required by law or by these By-Laws or by the Articles of Association, the affirmative vote of a majority of the members voting shall be necessary to pass any vote or resolution or to take any other Association action. The annual meeting of the Association shall be held on the third Wednesday of June in each year at such time and location in the State of Rhode Island as shall be specified in the notice of said meeting. In the event of failure to hold said meeting, any and all such business which might have been transacted at such meeting may be transacted at the next meeting, whether special or annual. Special meetings of the Association shall be called by the Secretary at any time by order of the President or by a majority of the Directors. If the Secretary fails to call a meeting upon such request, it may be called by any other officer. Any business may be transacted at any special meeting, whether stated in the notice of such meeting or not, except as otherwise provided in these By-Laws. Notices of meeting shall be given at least 14 days prior to the date of meeting. Such notices shall be transmitted via latest electronic address provided or shall be deposited by the SDRA Secretary in a US Post Office to last known address. With advance notice of at least 14 days these By-Laws may be altered or amended by the affirmative vote of two-thirds of the members of the Association present at any annual or special meeting. These By-Laws may not be altered or amended at any annual or special meeting of the Association unless the notice thereof shall contain a statement of the substance of the proposed alteration or amendment. Initiation of a proposal to amend or alter the By-Laws may be made by the Board of Directors or by any two officers or by petition to the Board of Directors signed by any five members.